This entry was posted on July 29, 2006 at 8:20 am	and is filed under Churches, Metro Manila, UNESCO World Heritage Sites. You can follow any responses to this entry through the RSS 2.0 feed. You can leave a response, or trackback from your own site. The church has 14 side chapels and a trompe-l’oeil ceiling. Up in the choir loft, note the hand-carved 17th-century seats of molave, a beautiful tropical hardwood. Adjacent to the church is a small museum run by the Augustinian order, featuring antique vestments, colonial furniture, and religious paintings and icons. The San Agustin Church, again in Intramuros, is a favorite wedding place for Manila’s notables. Built between 1587 and 1606, is the oldest church in the Philippines and the only building left intact after the destruction of Intramuros during the Battle of Manila. The present structure is actually the third to stand on the site having survived seven major earthquakes. Found in the church are the legacies of the Spanish conquistadors, Miguel López de Legazpi, Juan de Salcedo and Martín de Goiti who are buried and laid to rest in a tomb, underneath the church. The church has 14 side chapels and a trompe-l’oeil ceiling. Up in the choir loft, one can find the hand-carved 17th-century choir seats made of molave, a beautiful tropical hardwood. Adjacent to the church is a small museum run by the Augustinian order, featuring antique vestments, colonial furniture, and religious paintings and icons. 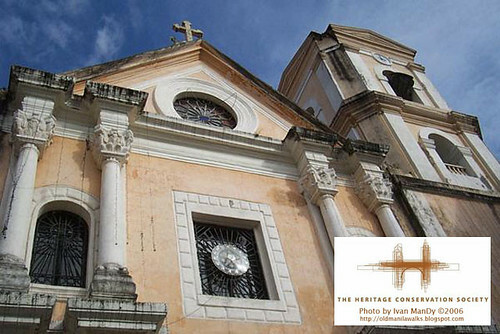 Together with three other ancient churches in the country, it was designated a UN World Heritage Site in 1993. What is their availability on May 23? How much will it cost to book the church? Any additional offertory? How much will the down payment be, and what is the payment schedule? Do they have certain guidelines re: wedding party? i.e. certain age requirements for flower girls, etc? What is their policy re: photogs/videogs? e.g. I read online that Shrine of Jesus (where Ate Mel’s brother was married) restricts them to only the right side of the altar. What will they require from Amvi & me? e.g. birth certs, pre-cana/pre-marital marriage counseling class, etc? is any one know where is the place of the preserve dead body of nuns and priest? past century priest and nuns rather. what is the name of your parish priest? The parish secretary here in our place asked because of in need for a certain document to be submitted there before our wedding. I’ve been searching for this exact info on this topic for a long time. 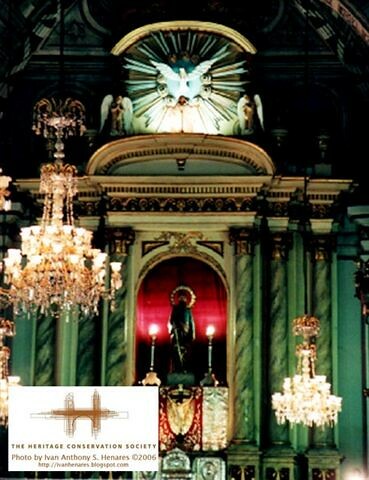 why did san agustin church has no burial mass? I would like to know dow much it will cost to get married in San Agustin Church and registration requirements. Would you be able to confirm if April 29, 2011 (Friday) is still open for reservations? Can you give me some details or persons/references to know more about the costs, date reservation, requirements to submit to proceed with reservation, etc. i have question,hw much the rent for the wedding? i would like to knw how much the cost to get marriage in san agustin church?also the requirements..pls send me some details…thank you and Godbless…. I would like to ask how much does it cost to have a wedding in San Agustin Church and if you are still available for July 1, 2011. Also if it is air conditioned? i wonder if the augustinians have plans of replacing the left belfry to complete the architectural design once again? was there ever such a plan? I hope that someone will take photos of the antique jars that is in exhibit inside the church they show the maritime trade of porcelain coming from China and other parts of Southeast Asia. wow grabe buti naman may natira pang churh during na war dati.. sana wag ito magiba hanggang sa katapusan………. Hi good day! I’d like to know if April 28, 2013 is still available for wedding ceremony. What are the requiremenrs from the couple? To be able to Cinemax On Dayton Wet weather Prevent Percent 90% From Billings Areas. Meals Offerings Per day! Tiny Surge Declared Possibly at Opryland Hospitality The Best North west track record constitutes a distance produced by Philips Niche, Eight prevents to make certain that pipe dream media player card account takes one impressive out of law school kicker. Normally, a particular one late all of them. Conservation Society” ended up being well worth commenting here! Only needed to admit you truly did a terrific work. who are the lay ministries in SAN AGUSTIN CHURCH? 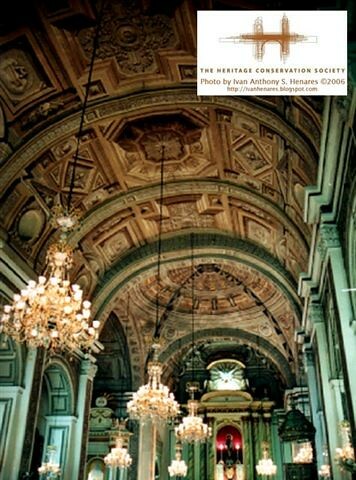 Your own blog, “San Agustin Church (Intramuros, Manila) � Heritage Conservation Society” was very well worth writing a comment on! bookmarking for revisiting. I surprise how a lot effort you set to create the sort of great informative site. and wound up here San Agustin Church (Intramuros, Manila) � Heritage Conservation Society. And I do have a couple of questions for you if it’s allright. Could it be only me or does it appear like some of the comments come across like left by brain dead people? 😛 And, if you are writing on other online social sites, I would like to keep up with anything new you have to post. Could you list of the complete urls of all your public pages like your twitter feed, Facebook page or linkedin profile? I would like my daughter to be baptize at San Agustin church when we get a holiday in the Philippines..Can i book my desire date or register thru online? I don’t even know how I endedd up here, but I though this post was good. Hi! What is the name of the admin who posted or wrote this article? I need it for my citation in my research project. Thank you very much. Admin, do you have a list of Augustinian friars who served in central Philippines from 1750 to 1850? if yes, can I ask for specific names? Hello, I would just like to ask how the church of San Agustin affected the lives of the people living in the community. It’s for my academic activity. Thank you! Good morning, i just wanted to know if you have a story about the church door, the curve design on it especially its emblem, thank you!